"Mr. Kitson’s book is a flawless piece of professional history: original, thorough, subtle, appropriately measured. It has been and will continue to be admired for these reasons alone. There is also much to interest the contemporary student of intelligence, particularly in Mr. Kitson’s discussion of a counterintelligence bureaucracy ’weakened by puerile rivalries.’ It may, however, be overlooked by readers of popular fiction. It shouldn’t be. A reader willing mentally to supply just a few lines of dialogue here and there will find between the lines of this book a dark and cynical spy novel filled with all the wretchedness of human nature, one all the more disturbing for being true." "It is often said that the best things come in the smallest packages, and this could certainly be applied to this latest book by Simon Kitson. In less than 200 pages he has managed to contextualize and survey a little-known, but nonetheless important aspect of the history of Vichy France in a highly accessible and lucid way. . . . This book provides a fascinating insight into the shady world of wartime espionage that should be required reading for any serious student of Vichy France." "A valuable examination into the historical and moral morass of Vichy." 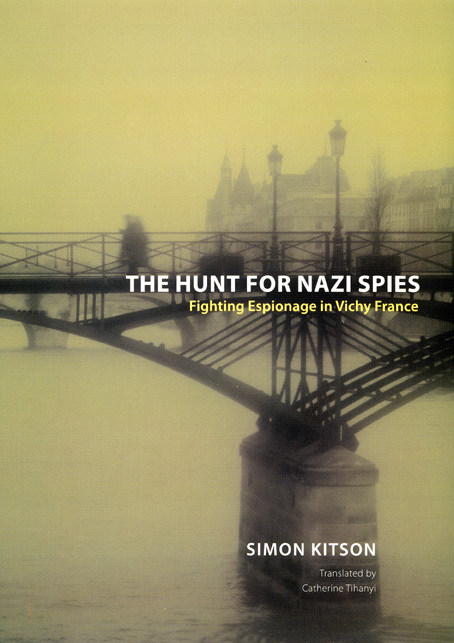 "A fascinating trip into the shadowy world of espionage and counterespionage in Vichy France. . . . [Kitson’s studies] have provided us with a valuable case study of the implications of the ambiguities and inherent contradictions in Vichy’s policies of sovereignty and collaboration, an instance where the two repeatedly collided with revealing resuilts." "[The] conclusions greatly enhance our historical knowledge of Franco-German relations and the nature of the Vichy regime . That they are presented alongside superior archival research and engaging prose only increases the value of this highly recommended work."